This super cute blue and white glass evil eye is wire wrapped onto a 16 inch 14k gold vermeil chain. Please feel free to select a different length chain if you prefer! Also available in sterling silver. 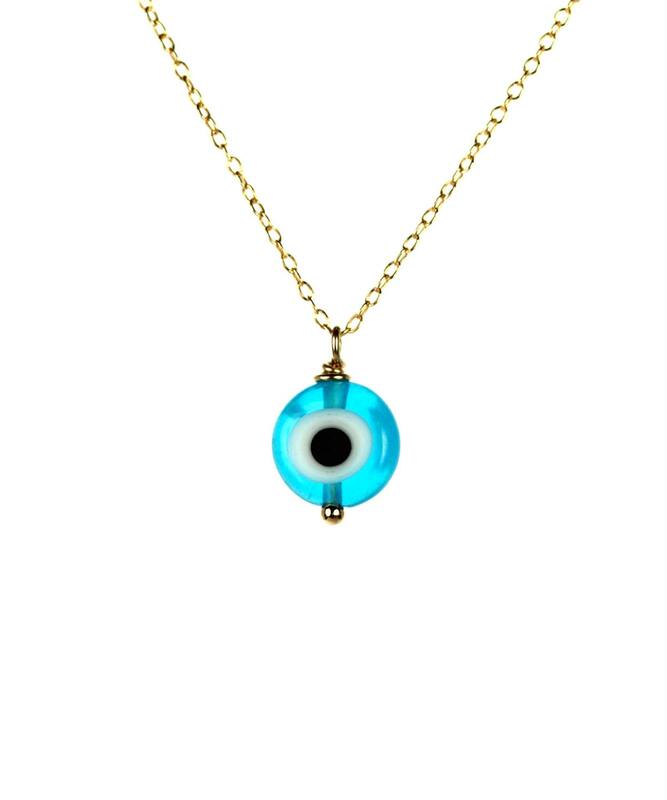 The evil eye is worn to protect agains bad spirits and negative energies.